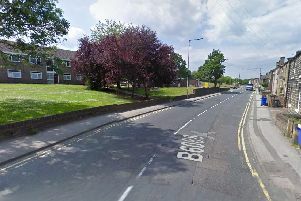 A pupil at a Sheffield secondary school was taken to hospital following a fight outside the school grounds. Westfield School, on Eckington Road, confirmed that two pupils were involved in a fight ‘off school premises’ on Tuesday. Shocked onlookers were forced to intervene and pull the students apart as the fight began to escalate. One of the students was taken to hospital following the fight but has since been released. Mr Birkbeck, head of Westfield School said the school were taking the incident seriously. He said: “I can confirm that we are investigating a fight between two students, that occurred off school premises yesterday after school had finished. “I cannot comment on the detail of the matter but I would like to reassure our local community that we are taking it very seriously. “Whilst we appreciate that people will want to speculate, please be assured that this is being investigated and that appropriate, firm action will be taken.